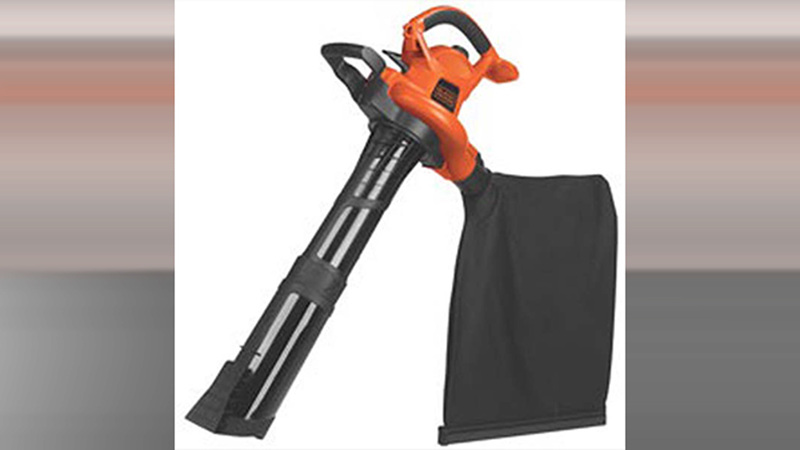 Black + Decker is recalling 560,000 electric blower/vacuum/mulcher units after several people were injured after a fan cover came off, exposing hands and open skin to the fan blades. So far, four people have been lacerated by the fan blades after the covers popped off. The units were sold at Lowes and other home improvement stores, in addition to Amazon.com from May 2013 to September 2016 for between $70 and $90. The 3-in-1 Black + Decker blower/vacuum/mulchers can be identified with models BV5600, BV6000, and BV6600; these model numbers and "Tyle 1" are printed on the name plate on the right side of the motor housing. Only "Type 1" blowers are included in the recall. These units are orange with black accents, a black fan cover and a two-speed switch. If you have one of these units, call Black + Decker at 866-937-9805 from 8am-5pm Monday through Friday or go online to blackanddecker.com, and click on "Safety Recalls." You can also email recall@sbdinc.com. Consumers will receive a free repair kit, including a replacement fan cover.